About PSU : The Kerala Irrigation Infrastructure Development Corporation Ltd (KIIDC) is a wholly owned company of Government of Kerala with a paid up capital of Rs. 10 crore, formed for the promotion and development of medium and large scale irrigation and water supply projects units in the State. At present Kerala Irrigation Infrastructure Development Corporation Ltd has been entrusted with works related to civil works, irrigation works, micro irrigation works, environmental support works etc by different departments of the Government viz. Water Resources Department, Environment and Climate Change Department, Agriculture Department, Tourism Department, Tribal Welfare Department, Social Justice Department, Kerala Water Authority, Hill Area Development Authority, State Planning Board etc. The works and projects so undertaken by KIIDC have been completed or nearing completion to the utmost satisfaction of the concerned departments / agencies. Considering the performance of the Company in the execution of the projects / works entrusted to it, these departments as well as many new departments have expressed their willingness to entrust more works with the Company during 2015-16 also. About PSU : Kerala State Information Technology Infrastructure Limited (KSITIL) is the apex company formed under this Government of Kerala IT Policy for pioneering the development of IT/ITES Special Economic Zones (SEZs), IT Townships and IT Parks in the State of Kerala. It is a public limited company incorporated under the Companies Act, 1956, promoted by the Government of Kerala vide G.O (MS) No.33/07/ITD dated 12-11-2007, with its registered office at Park Centre, Technopark Campus, Karyavattom, Trivandrum. The State Government envisages expansion of the IT industry in the State in a manner that benefits all districts in the State. Unlike other States, the development in the IT sector will not be confined to one or two cities in Kerala. Instead, a hub and spoke model has been planned wherein Thiruvananthapuram, Kochi and Kozhikode will act as hubs and the remaining districts will act as its spokes. KSITIL will be supported by Technopark, Infopark and Cyberpark at each hub for the development of the districts falling under each hub. About PSU : The Vizhinjam International Transhipment Deepwater Multipurpose Seaport is an ambitious project taken up by Government of Kerala. It is designed primarily to cater container transhipment besides multi-purpose and break bulk cargo. 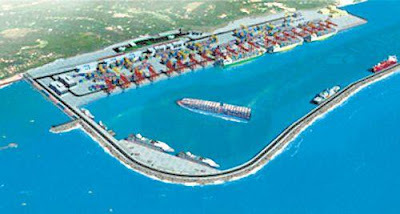 The port is being currently developed in landlord model with a Public Private Partnership component on a design, build, finance, operate and transfer (“DBFOT”) basis. The private partner, the Concessionaire M/s Adani Vizhinjam Port Private limited has commenced the construction on 5 th December 2015. As per the Concession construction of port is scheduled to be completed on 4 th December 2019. Though the Concession Agreement envisages a construction period of 4 years GoK and Concessionaire has set an ambitious target of 1000 days to make the port commercially operational. Address : VIZHINJAM INTERNATIONAL SEAPORT LTD.
About PSU : RBDCK is a corporation established and fully owned by the Government of Kerala and has been incorporated as a limited company under the Companies Act 1956 on 23rd September 1999. RBDCK mainly deals with the properties and assets comprising movables and immovable including land, road projects, railway over bridge projects, toll collection rights and works under construction. RBDCK is a company under the Public Works Department of Government of Kerala. Industry : Construction, maintenance and operation of roads and bridges in the state of Kerala, India. Address : Roads and bridges development corporation of Kerala Ltd.
About PSU : The Kerala Police Housing and Construction Corporation Ltd was established in 1990 with the objective of taking up the construction of Buildings and Quarters to the end-users in the 17 Police Districts of Kerala State. The Corporation is proud to carry out various construction activities for the various Government Departments like the State Police, the Vigilance and Anti-Corruption Bureau, the Prisons and the Fire and Rescue Services. Recently, the Corporation has begun expanding horizon by undertaking the works of other Department/Organisation entrusted to the Corporation by the State Government. KPHCC Ltd’s main focus of activity is towards the construction of Residential Buildings and Quarters for the Police Department under various State / Central Government schemes. The main sources of funds to this corporation are through the declared Central Government schemes like Modernization of Police Forces and Finance Commission Awards. Certain major projects undertaken by the Corporation are also funded by the State Government. The KPHCC raised loans from various institutions like the HUDCO and the LIC Housing Finance Corporation for selected projects approved by the State Government. Such loans were raised with the prior approval of the Government and upon Government guarantee. About PSU : Kerala Power Finance Corporation Limited (KPFC), a Government Company promoted jointly by the Government of Kerala and Kerala State Electricity Board to provide funds for the speedy development of Power infrastructure in the State was incorporated on 20thy March 1998. Commercial activities commenced in March 1999. Considering the limited scope of business in the power sector, declining loan disbursements to KSEB over the last 2 years and the huge potential arising in the infrastructure development in the state, the Board of Directors of the company decided to diversify the activities of the company to Infrastructure area also in addition to Power sector and the proposal was forwarded to the Government for approval. The Government after considering the various aspects accorded sanction vide G.O.MS 21/20066 Pd dated 03/08/2006 to amend Article of Association of the Company and to rename the Company as “Kerala State Power and Infrastructure Finance Corporation Limited”. About PSU : KTDFC is a Non Banking Financial Company fully owned by the Government of Kerala and having a valid certificate of Registration issued by Reserve Bank of India under section 45-IA of the RBI Act, 1934. KTDFC accepts deposits from the public and the deposits are guaranteed by the Government of Kerala, which ensures 100% security and extra earnings. KTDFC offers various loan products to suit the needs of every customers with low diminishing EMI rates, hassle-free procedures and premature closure options ensuring more savings to its customers. KTDFC has launched Bus Terminal Complexes at Angamaly, Kozhikode in KSRTC Depots and a series of BOT Projects at Thiruvananthapuram (Thampanoor), Thiruvalla are under progress. About PSU : Instituted in the year 1995 to develop Bekal as an international standard ‘Beach Tourist Destination’, Bekal Resorts Development Corporation Ltd (BRDC) was formed for the implementation of Bekal Tourism Project. BRDC focuses on planned, environment-friendly and ecologically viable methods of development. The company concentrates on setting up comprehensive tourism infrastructure, at the same time ensuring that the development is beneficial to the local community. The corporation provides support and assistance for almost all the new ventures happening in and around Bekal. By observing specific parameters on the carrying capacity of the region, sustainable limits, architectural guidelines, environmental safeguards and coastal regulations, the Bekal Project is planned, orchestrated and coordinated by BRDC. About PSU : Tourist Resorts (Kerala) Ltd. (KTIL), established under the Govt. of Kerala, is the agency for tourism investment promotion and infrastructure development in Kerala. It was incorporated in August 1989. Kerala is today growing at an amazing pace in tourism, adhering to the principles of indigenousness, environmental friendliness and community participation. Asia's most sought-after tourism spot and India's only Superbrand, Kerala, renowned all over the world as God's Own Country, currently registers remarkable growth rates, substantiating the World Travel and Tourism Council's forecast that it would see the highest growth rate in the world, ie., 11.6%, in this decade. Taj Garden Retreat Varkala is perched atop a majestic red cliff overlooking the Arabian Sea. The aesthetically terraced facade of the hotel moulds itself harmoniously with the inclined landscape of Varkala beach. It is about three hours from Cochin and one hour from Trivandrum. Located next to the Vembanad lake and a bird sanctuary, the Taj Garden Retreat Kumarakom is 14 km from Kottayam, and is accessible by both land and water. The hotel, equipped with Internet access, can convert a guest room into a meeting area for up to 14 for conferences or cocktails. Taj Residency Ernakulam is located on Marine Drive, just minutes from the city centre and Cochin's busy commercial hub. A haven of modern comforts and style, Taj Residency offers stunning views of the sea, the sunset, and Cochin's harbour. About PSU : Kerala Industrial Infrastructure Development Corporation, KINFRA aims at bringing together all the suitable resources available in the state and developing infrastructure to woo the industrial growth of the state. KINFRA is dedicated to catalyse industrial growth in Kerala by providing the best industry-specific-infrastructure. KINFRA has identified over 20 core competency areas. It has 12 well-defined industrial parks of which many are functional and some are in the launching phase. Each of these Parks offer comprehensive infrastructure and support services to the clients. The most fascinating feature of KINFRA is that it offers single window clearance facilities. Attractive incentives and excellent opportunities for expansion and diversification are the specialities of KINFRA. About PSU : Kerala State Financial Enterprises Limited (KSFE) is a public sector non-banking financial company based in Thrissur city, Kerala, India. It started functioning on November 6, 1969, with Thrissur city as its headquarters. It started with a capital of Rs 2,00,000, 45 employees and 10 branches. It has now 500 branches and seven Regional Offices at Thiruvananthapuram, Kollam, Kottayam, Ernakulam, Thrissur, Kozhikode and Kannur. KSFE is a Miscellaneous Non-Banking Financial Company (MNBFC) and is fully owned by the Government of Kerala. KSFE is the only chitty Company owned by the Government in the whole of India. About PSU : Kerala State Warehousing Corporation came into existence on 20th February 1959 according to Government Notification No. Ag.P2 - 205057 AD dated.30.01.59. It functions under the Warehousing Corporations Act 1962 (Central Act 58/1962). The Warehousing Corporations Act 1962 was passed repealing the Agricultural Produce Development and Warehousing Corporations Act 1956. KSWC is a statutory Corporation having 50% Share Capital by Central Warehousing Corporation and 50% share capital by the Govt. of Kerala. It has its Corporate Office at Ernakulam with 3 Zonal Offices, 9 Regional Offices and 60 Warehouses scattered all over the state. 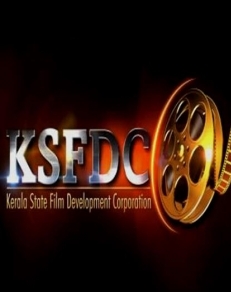 About PSU : Kerala State Film Development Corporation Ltd (KSFDC), was established in the year 1975 with the prime objective of facilitating the production and promotion of Malayalam Cinema which was then virtually monopolised by a few studios in and around Chennai. In 32 years of its existence, KSFDC, the first public Sector Corporation for film development in India has crossed many a milestone. The Corporation also owns an exhibition network with 11 fabulous theaters spread all over Kerala. Some of these theaters regularly host the International Film Festival of Kerala(IFFK). About PSU : Kerala SIDCO, a Government owned Public Sector Corporation, was established in November 1975 for the development and promotion for Small Scale Industries. Currently, SIDCO is expanding its area of works by diversification to give new vision to the small scale industries. God’s own Country, Kerala, is gifted with abundant natural resources essential for establishing Industrial Units and SIDCO is taking the initiative to set up industrial units. Kerala SIDCO is the ‘Total Solution Provider’ for Small Scale Sector as it offers all facilities and help to set up a Small Scale Unit. This corporation is rendering valuable assistance to Small Scale Units in the State, including consultancy at the beginning of the project to the identification of Industrial Site, commissioning of project, providing infrastructure facilities, distribution of essential raw materials marketing of the Small Scale Industrial Products, undertaking civil and electrical works, and setting up of small scale unit, Kerala SIDCO competently handles the necessary requisites of any project. Kerala SIDCO is now in the path of profit and is now granting basic facilities and marketing security to the industrialists and new entrepreneurs through its diversified activities and new working style. In the year 2014-15, Kerala SIDCO achieved the highest turnover among state Indian SIDCO’s with a turnover of 376 crores. About PSU : The Kerala Land Development Corporation (KLDC) was incorporated under the companies Act 1956 in 1972 with Reg.no. 2469 under the administrative control of the agriculture department with a view to promote, undertake and execute land development and allied schemes in Kerala for the integral development of Agriculture. As per the amendment made in the memorandum of Association on 11/07/07, it is envisaged to undertake consultancy, project preparation, design & execution of projects / schemes of any type including construction activities. Since the incorporation, the K.L.D.C is working as an agency for the effective implementation of various projects to alleviate the grievances of the farmers, especially in the low lying and water logged areas of the State in Thrissur, Alappuzha, Kottayam, Kozhikkode and Kollam districts. About PSU : Government of India constituted a Rural Urban Relationship Committee in 1966. The Committee recommended the formation of Municipal Finance Corporations in all States. The Taxation Enquiry Committee constituted by Government of Kerala in 1968 concurred with the recommendations of the Rural Urban Relationship Committee and recommended the formation of Local Finance Corporation in the State. The proposed Corporation was intended to make available finance to various Local Self Government Institutions at low rates of interest. The recommendations was accepted by the State Government and decided to incorporate Kerala Urban Development Finance Corporation Ltd (KUDFC). KUDFC was incorporated as a Private Ltd Company on January 28, 1970. Subsequently this was converted on a Public Ltd Company. Consequent on the abolition of Rural Development Board the activities of KUDFC was extended to the 3-tier Panchayats also with effect from 16th July 2004 and the name of the Company was changed to Kerala Urban & Rural Development Finance Corporation Ltd (KURDFC). Address : KERALA URBAN & RURAL DEVELOPMENT FINANCE CORPORATION LTD.
About PSU : The Kerala Tourism Development Corporation (KTDC) is a public sector undertaking that conducts and regulates the tourism activities in the Indian state of Kerala. The KTDC is headquartered at Thiruvananthapuram and has offices across all the districts of Kerala. The agency also operates hotels, resorts, and tourist rest houses in key locations in the state. Its official slogan is "Official host to God's own country." It is one of the most profitable ventures of the Kerala government. Address : Kerala Tourism Development Corporation Limited.